Armchair Boogie to be their opener! DESCRIPTION: In 2010, the five Wisconsinites that make up Horseshoes & Hand Grenades found themselves in a living room in the college town of Stevens Point, WI, holding acoustic instruments and enjoying a hodgepodge of fermented beverages. 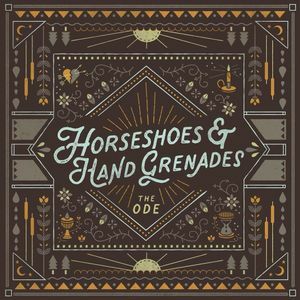 Music and revelry ensued that evening and, while many of the party guests eventually bid their goodbye well into the morning hours, Horseshoes & Hand Grenades wasn't ready to let the get-together fade. Many years later, the music still hasn't stopped and the party is still going strong, from the mountain west to the river towns of the Midwest that the quintet calls home, and all across America.